The National Center for Outdoor & Adventure Education (NCOAE) offers skillful medical first-aid training for outdoor educators looking to professionally certify their emergency preparedness while working in the field. The Hybrid Wilderness First Aid training [offered in conjunction with the Wilderness Medicine Training Center (WMTC)] allows individuals to complete a significant part of their training ahead of time through online study and testing, in combination with a two-day practical training at NCOAE’s Wilmington, North Carolina campus. Learn how to manage medical emergencies in remote settings. Unlike standard first aid training and medical courses, which assume locations and resources available in urban environments, trainings in wilderness medicine teach how to manage medical emergencies in remote settings. When successfully completed, participants in this course will have the ability — and confidence — to perform first aid on people suffering major and minor traumatic injuries, common environmental illnesses, and medical emergencies that occur in remote or wilderness settings. Course topics include: intro to trauma, concussions, bleeding and shock, respiratory distress and arrest, spine and cord injury assessment, treatment of wounds and more. Environmental topics include: dehydration, heat illness, sun exposure, hypothermia and cold injuries, allergies, wilderness toxins and more. Also covered: Infectious diseases; Atherosclerosis, Angina, Heart Attack and Stroke; and additional medical emergencies. Complete and pass a 10-20 hour self-study course beforehand, and complete the hands-on training at the NCOAE campus. Given the short duration of this course, NCOAE places an emphasis on scenarios and hands-on activities, to complement classroom lectures. Day Two (on-site): Case Study Homework Review; Traumatic Simulation; Wound Cleaning Lab; Basic Extremity Splinting Lab; Medical Tag-team Simulations; Course Debrief and Closing. How does the your Hybrid Wilderness First Aid (WFA) course differ from other wilderness first aid training programs of its kind? Hybrid Wilderness First Aid (WFA) Training combines home study with a two-day practical session at our training facility in Wilmington, North Carolina (NC). The course is designed for people who have limited time to be away from home, work, or school. Why is your Wilderness First Aid (WFA) training described as a 'hybrid' program? Our Hybrid Wilderness First Aid (WFA) training involves both self-studies (at home) through an online course followed by practical, hands-on skills training at our facility in Wilmington, North Carolina (NC). You acquire the knowledge you need on your own time at your own pace and then have the opportunity to apply that knowledge in a wilderness setting and obtain feedback from qualified trainers. This is described as a “hybrid” program because of the self-study component. How do the Hybrid and Standard Wilderness First Aid courses differ? With the Hybrid Wilderness First Aid (WFA) course, you do most of your reading and studying online (at home) and spend only two (2) days at our main campus in Wilmington, NC, developing practical skills. The Standard Wilderness First Aid (WFA) program is a three (3) day course in which you do all of your reading, study, and practical skills training at our main campus. What is the total time commitment required to complete your Hybrid Wilderness First Aid (WFA) training course? Plan to spend 20 to 40 hours studying and taking tests at home and two days away from home attending the practical skills training sessions. After I register and pay for the Hybrid Wilderness First Aid (WFA) course, what can I expect? After you register and pay for the Hybrid Wilderness First Aid (WFA) course, we will send you two email messages: one to access the online study site and the other to take the test. We recommend that you read and study the material carefully, so you are confident that you have mastered the material prior to taking the test. What happens if I fail the Hybrid Wilderness First Aid (WFA) certification test? Do I get to retake it? You will have three (3) attempts to pass your online test with a 80% or better. It’s our strong recommendation that if you fail your WFA online test twice, you reach out to your WFA instructor via email to ask for some support. Our instructors are committed to your success and will be willing to schedule a call with you to help you understand where you went wrong and help you better understand medical concepts, diagnosis, current v/s anticipated medical problems. What is different between the Wilderness First Aid (WFA) training and Wilderness First Responder (WFR) training? Which training should I take? Wilderness First Aid (WFA) training helps you develop a basic understanding of medical concepts and the skills required to perform first aid on people suffering traumatic injuries, common environmental illnesses, and medical emergencies that occur in wilderness settings and other remote areas. This training is geared for weekend warriors taking one- to three-day trips in the wilderness with access to definitive care and emergency medical services (EMS) transport. The Wilderness First Responder (WFR) training provides advanced wilderness first aid and medical training for those spending weeks to months in the wilderness on expeditions lasting several days. As with the Wilderness First Aid (WFA) course, you develop the skills required to perform first aid on people suffering traumatic injuries, common environmental illnesses, and medical emergencies that occur in remote areas and wilderness settings. Lead outdoor educators, military personnel, certified emergency medical technicians (EMTs), and those involved in search and rescue should take the Wilderness First Responder (WFR) training course. Does the Wilderness First Aid (WFA) training course include CPR training and certification? No. CPR is not included in either the Wilderness First Aid or Wilderness First Responder training course. However, our three-day Standard Wilderness First Aid (WFA) course and the Wilderness EMT (WEMT) course include Wilderness CPR training with a two-year certification. We also offer custom WFA courses for groups, and these custom courses may include CPR training and certification at an additional cost. After completing the Hybrid Wilderness First Aid (WFA) course, do I receive any proof of certification? Yes. After you successfully complete the WFA course, we present you with a certification card and a WFA patch and sticker. In addition, you or a prospective employer can call or email us at any time to verify your certification. Email your proof of certification request to officeadmin@ncoae.org with “WFA Proof of Certification Request” in the subject line. Please include your full name. If we receive the request via email, we will return proof of certification via email. We can also verify certification over the phone or ship proof of certification to a designated mailing address; call us at (910) 399-8090. How long does my WFA certification remain active? Your Wilderness First Aid (WFA) certification lasts for three (3) years from the date it is issued. To get recertified, you must retake the WFA training course (Hybrid or Standard). We provide no shortcuts to WFA recertification. However, if you are a certified Wilderness EMT (WEMT) or Wilderness First Responder (WFR), you can take the WFA course (Hybrid or Standard) before your certification expires to become recertified. If you let your certification lapse, you must take the entire WEMT or WFR course again to get recertified. 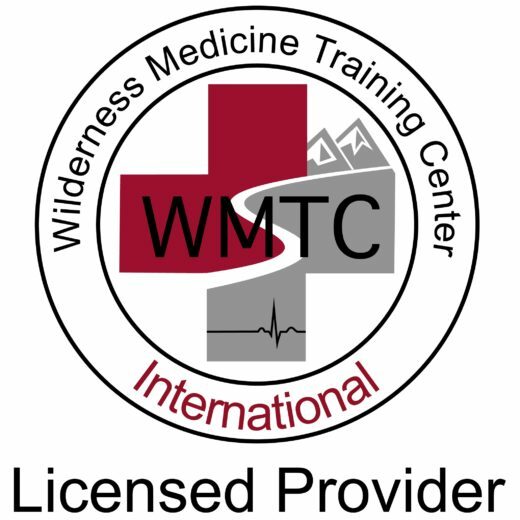 We strongly recommend that you take the full Wilderness EMT or WFR course every six (6) years as a refresher regardless of whether you qualify for recertification. Can my WFA certification be extended? No (and no exceptions). However, assuming we have your email address, we will email you a reminder about four months prior to the date on which your WFA certification is set to expire, giving you sufficient time to register for and retake the course. Make sure we have your current email address on file. I received wilderness first aid training elsewhere. Can I recertify through you? No. Please provide your WFA proof of certification, including its expiration date, and we can help you schedule the Standard or Hybrid WFA training course required to obtain certification through us. I lost my WFA certification card. What should I do to get a replacement? To purchase a new WFA certification card, email us at officeadmin@ncoae.org and type “lost card” in the subject line. Please include your full name and mailing address, the date and location of your course, and the name of your WFA instructor. Or call us at (910) 399-8090 and be prepared to supply this information over the phone. This course is scheduled for 4-days or 36 to 40 hours of instructional and practice time. Upon successful completion students will receive certification in Wilderness First Aid and Adult CPR. Certification is valid for three years. Successful WFA certification is based on 100% attendance, passing grades on homework assignments and written quizzes, learned competence of practical skills, and a passing grade on the final written exam. Please note there is no refund available after course registration due to the nature of this course, including private access of personal information through the external website and testing site, and the books and materials mailed. Certifications are valid for three years. Upon expiry, students must retake the WFA course or should consider a Wilderness First Responder upgrade.